No, this isn't a card game. 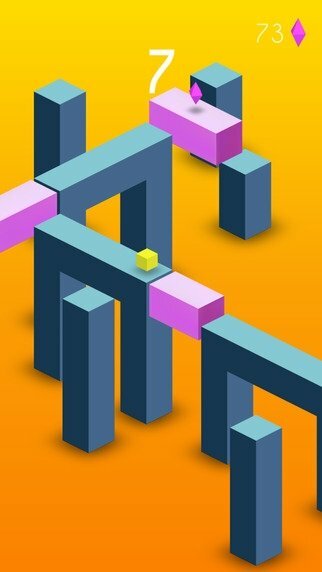 Bridge is a game in which we have to move a cube along the screen, tapping on the latter to build bridges and overcome different obstacles while collecting gems on our way. 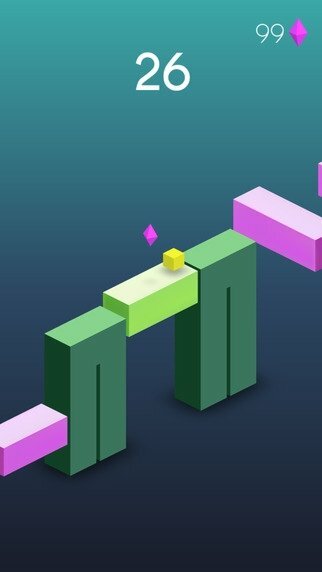 A casual game that will glue you to your iPhone's screen. 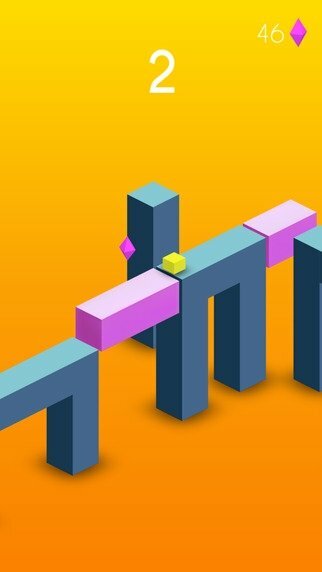 Tap the screen to make the floating bridges rotate. Connect them to build a path. Make them rotate whenever you want. 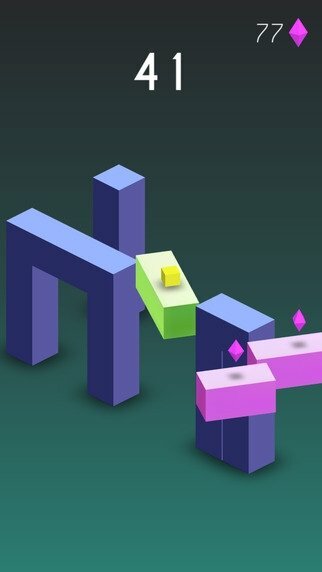 Try to obtain the highest score and collect as many gems as possible; they will help you to unlock new elements during the game.